In the process of die/mold machining, the choice between ram EDM and CNC milling is far less clear than it used to be. Milling, now can be applied more broadly than it ever before, which made it cost-effective for us to use fast, light milling as an alternative to EDM in many applications involving hard metal, intricate detail and smooth finishes. However, EDM technology has gotten better, too. Below is the comparison between EDM and kind of “high performance” milling, which uses a machine tool and a control system both designed for complex, precise, high-feed-rate milling. · For sharp inside corners. Until the square end mill is perfected, EDM will remain the superior process for internal corners. · For the most complex geometry. In particular, EDM makes sense when the complex surface is difficult for a milling cutter to reach. · Where deep cutting is required. More specifically, avoid milling where the L:D (tool length to diameter ratio) is particularly high. · In unattended cutting. EDM is the easier process to automate because it’s more predictable than milling. In a process that uses robots for loading electrodes and workpieces, a complete EDM process including electrode production can run around the clock effectively with minimal human attention. · For high-expertise parts. In general, programming time is shorter for milling an electrode than for milling the form in metal. And in more sophisticated milling applications, the difference becomes even more pronounced. 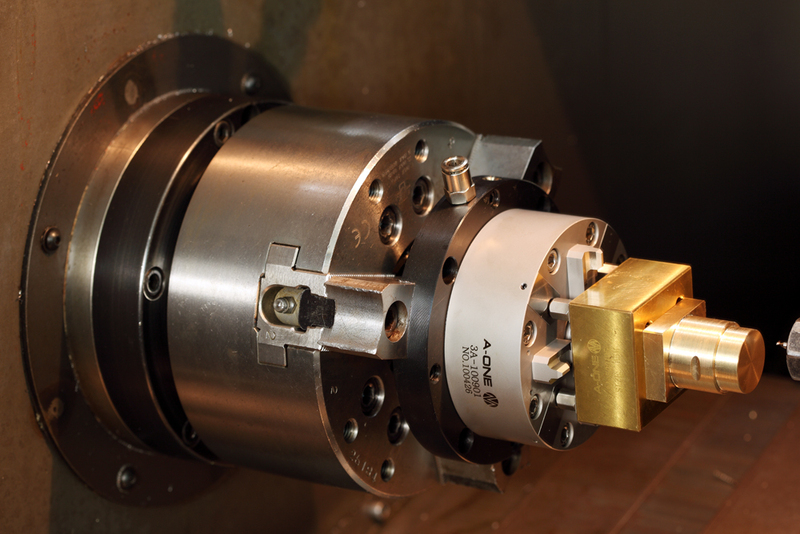 The programming time required to let the machining center do work once considered “EDM only” may be high enough that EDM remains the expedient choice. · Where EDM finish is specified. The surface quality EDM can deliver today is better than ever. Advances related to additives, for example, not only improve the finish a graphite electrode can achieve, they also result in a shallower HAZ (heat-affected zone). · For non-cosmetic surfaces, and for surfaces to be textured. In texturing, EDM adds an extra step. Unlike a milled surface, the EDMed surface generally requires polishing before texturing can occur. · When access is easy. If the geometry is open and L:D is low, mill away. · For family parts. Groups of similar workpieces and multi-cavity tools both present the opportunity to amortize time spent on programming, including the time spent on learning the best way to mill the form in metal. · For parts that cannot have a HAZ. · Where high accuracy is required. Milling can make tight tolerances easier to hold. In EDM, tolerance stacking comes from machining the electrode, changing holders and using multiple electrodes on the same part. Also, EDM accuracy declines as finer surface finish is approached. But milling entails less tolerance stacking and makes no accuracy-versus-finish tradeoff. · When EDM operators are in short supply. In many company, personnel considerations will take precedent over considerations related to the technology. Another related factor is the availability of programming resources.In fact, the influence of the programming step points to another consideration important in comparing EDM vs. milling, or any competing processes.